Results of a quantitative study conducted by the Options Industry Council (OIC), showed that advisors have low confidence levels about us­ing options.  The OIC and Investments & Wealth Institute, formerly IMCA, have partnered to offer the online course Option Strategies for Advisors to help advisors overcome confidence hurdles when using options. The course is designed to provide advisors with essential, foundational options knowledge and skills, as well as practical strategies that can be put to work immediately. Using easy-to-understand examples and demonstrations, the course dives into options markets; risk, reward, and probability; option behavior; option spreads; volatility trading; and portfolio management using options. Module 1: Discuss the history of options and describe the roles of buyers and sellers in the options process. Identify the strategic role of options in an investment portfolio, as well as explain basic strategies like calls and puts, as well as their key elements. Module 2: Identify each of the four outright option positions and how they are oriented with respect to their exposure to price, time, and volatility. Describe how delta is quoted and what it represents about the of price risk that particular option will obviate. Differentiate the price risk and profit maximum for long and short options and explain the role of time value decay as option expiration approaches. Module 3: Differentiate between the four synthetic option positions. Articulate the meaning of delta, gamma, theta, and vega. Identify the characteristics of Ins-, Ats-, Out-of-the-money options. Module 4: Describe the unique characteristics and primary motivations for constructing each of three types of option spreads: typical, vertical, and horizontal (or calendar) spreads. Identify investor and economic scenarios for which each strategy is most appropriate. Module 5: Define and describe the characteristics of the following volatility strategies: straddles, strangles, butterflies (including iron butterflies), and condors (including iron condors). Identify market and investor scenarios for which each strategy is most appropriate. Module 6: Review synthetic long and short call and put characteristics and identify portfolio scenarios where their use to hedge a portfolio is most appropriate. Describe the trades inherent in collaring an equity position and identify scenarios in which each or all are most appropriate to investor objectives. Define a synthetic bull vertical call spread and under which circumstances it is the best solution for a portfolio. Please note that this is a course. Successful completion does not result in a professional designation or credential. The CFP ID field on your Institute account must be complete and accurate for this process to take place. To verify: log in to your account, navigate to the "dashboard", and click "update my demographic information" on the right-hand side to locate the CFP ID field. The Institute is proud to be a CE Quality Partner of CFP Board.​ Certified Financial Planner Board of Standards Inc. owns the certification marks CFP®, CERTIFIED FINANCIAL PLANNER™, CFP® (with plaque design) and CFP® (with flame design) in the U.S., which it awards to individuals who successfully complete CFP Board's initial and ongoing certification requirements. Asif Nasim | Outside Continental U.S.